This dust prevention spray is a non-staining formula. Use the non-static spray on fabrics, carpets, as well as hard surfaces found around electronics. Anti-static spray offers a long lasting protection minimizing down times caused by dust and static issues. This floor stripper is available in a convenient gallon size; ideal for commercial applications. The VCT floor care maintenance process involves many steps and properly stripping the the floor is essential to rebuilding a good finish. Try Crystal care acrylic floor finish in your home or business. It is self leveling and dries quickly. Furthermore, the protective floor coating is streak and nick resistant helping extend the life of your floors. Safe for use on most floors such as tile, hardwood, stone and linoleum. Try Dazzle floor finish for a wet look that is also very light reflective. Crystal Care's VCT tile sealer is made up of a combination synthetic polymers which helps to produce a long lasting and durable finish. This wet look floor finish is also resistant to scuff marks and minor scratches. Use this water based urethane floor finish for terrazzo floor care and other porous stone. It works great with burnishing or spray buffing applications. The sealer will also help to provide adherence for future floor finishes. Make commercial floor maintenance a breeze with the versatility of a cleaner that can be used with a mop or an auto scrubber. Crystal Care neutral floor cleaner is non-dulling and a no rinse formula. Saving you precious time in refinishing floors and rinsing. Try Crystal Care resilient floor finish and enhance the vinyl flooring in your home or business. Vinyl flooring care is easy with this product because it is self leveling and provides a smooth base to build on. Resilient floor finish is a colorless acrylic seal that helps topcoat bond to your floor. Wax floor maintenance is easy with this product. It is ideal for damp mopping to stay on top of daily messes. No rinse floor cleaner that will save you time. Perfect for wax floors because of neutral pH, helping finishes last longer. High traffic floor finish retains wet look even under extreme traffic conditions. Use for commercial floor care on tile, vinyl, linoleum and hardwoods. High traffic floor finish offers a transparent slip resistant property. 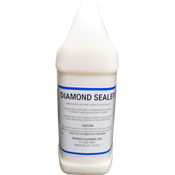 Crystal Care floor neutralizer can be used on hardwoods, vinyl, carpeting and metal surfaces. This residue remover preps floors for better penetration and adhesion when re-applying finishes. This durable floor finish will bond with stone making it ideal for commercial applications such as schools and food courts. Use water based floor sealer for interior or exterior applications. A great choice for stone or concrete patios.